Matthew is a biologist and architect. His work across disciplines is driven by a desire to understand how simple rules and interactions between individuals give rise to complex pattern and structure at higher levels of organization. He completed his PhD in Ecology and Evolutionary Biology at Princeton in 2016 with Iain Couzin, where the focus of his dissertation was the self-assembled structures built by army ants of the genus Eciton out of their own bodies. He conducted field experiments in Panama to understand the dynamics of these structures and their adaptive benefits at the colony level. 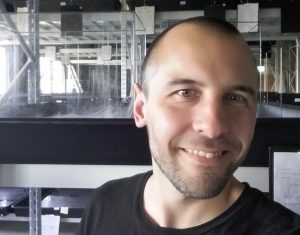 Prior to this, he received an MS in Advanced Architectural Design from Columbia University, where he focused on developing computational methods of generative design inspired by the self-organizing principles of collective animal behaviour. As a Postdoctoral Fellow in the Jordan Lab, Matthew is researching the interactions between building behaviour, web structure and group living in social spiders.